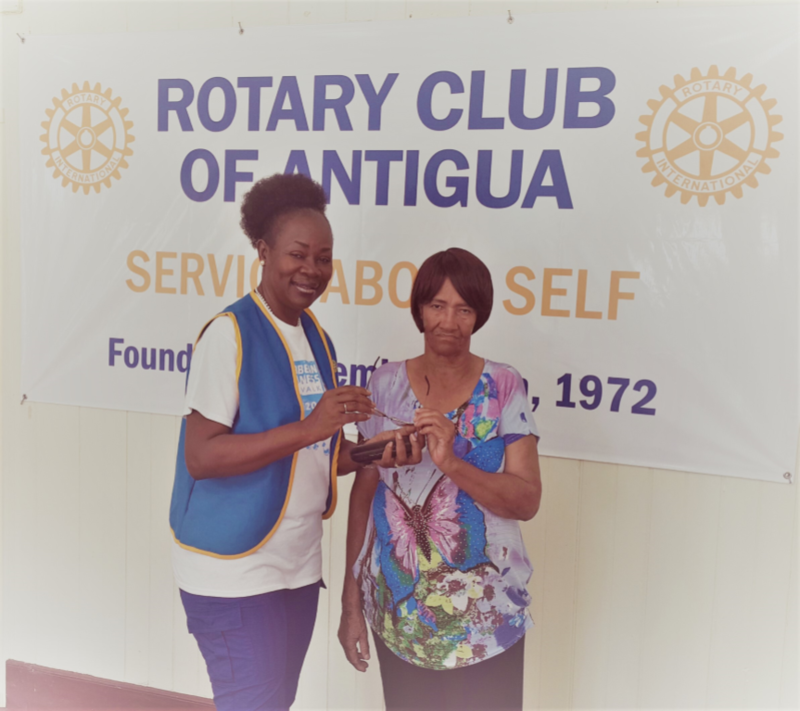 The Rotary Club of Antigua presented an early Christmas Gift to Daisy Lake. This is just one of the ways the Club gives back to the Community. Daisy wrote a letter to the Club requesting assistance in acquiring her new pair of glasses which she desperately needed due to certain medical conditions. Rotary Club sponsored all the expenses and is pleased to make the presentation. May God continue to bless Daisy and her partner, Wilfred Luke. The Club takes the opportunity to wish Daisy and Wilfred a Blessed and Merry Christmas.